You only have to step outside your front door or turn your TV on to realise the festive season is fast approaching so now is a good time to to start organising your Christmas kitchen. By following some of the tips below your kitchen will be clutter free and your cupboards tidy. You’ll be ready for decorating, feasting and socialising in no time! 1. Start by going through your food cupboards throwing away anything that is out of date or that you no longer need, this will clear space for all those delicious Christmas treats. 2. To maximise space in your cupboards why not add internal step-up style shelves? These enable you to clearly see all the items on your shelves. Afterwards you can organise your remaining food items, possibly repacking items from bulky boxes into more compact containers which can be clearly labelled. If you’re lucky enough to have a garage or utility room with spare cupboard space, use it store non-essential items, keeping them out of the way over Christmas time. 3. 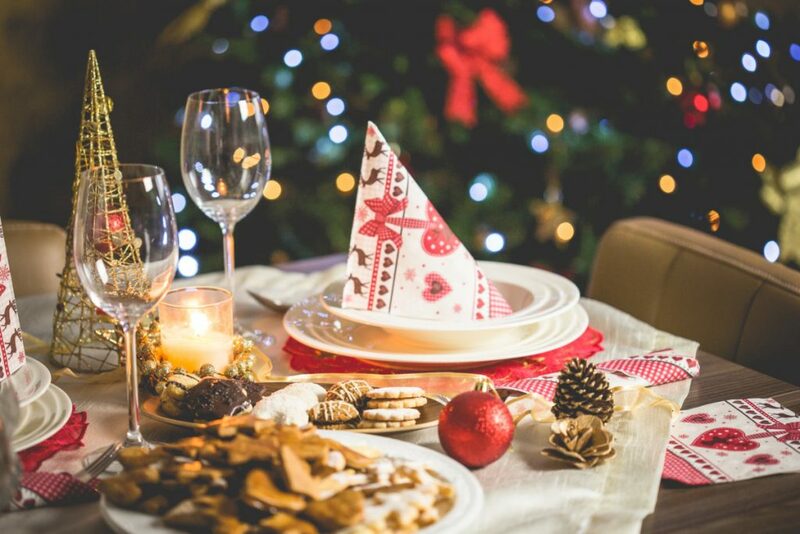 Instead of becoming a stressful task, make preparing Christmas treats enjoyable by decluttering your worktops. If you need extra space a butcher’s trolley is a worthwhile investment. They’re fitted with wheels so can be moved to wherever needed and then put out of the way to create more space. 4. To avoid the turkey juggling act, consider the size of your oven when planning your Christmas Day menu, making sure there are enough shelves for all the tasty trimmings. Also, now would be a good time to get that horrible job of cleaning the oven ticked off your list too. 5. Freezer space is another factor to think about. Get creative with all the bits you have accumulated in your freezer to clear space for the food you want to prepare in advance such as bread sauce or sausage rolls. 6. Check you have enough wine glasses, crockery, cutlery and saucepans in advance to avoid realising at the last minute you are short, and don’t forget the kitchen foil for your turkey. A bit of forward planning to get your kitchen organised goes a long way. Once the boring jobs are out of the way you can focus on transforming your home into a cosy festive area where you can embrace and enjoy the festive season.